She is utterly adorable! One day soon I hope to have grandchildren to snuggle with. Enjoy your new little one. They grow up much too fast. Oh, this brings back so many lovely memories. 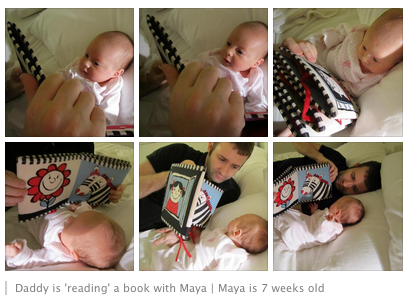 And yes, Daddy reading to Maya DOES make a difference! Yep, pretty darn cute, I agree. She is so precious!!! Enjoy her to the fullest and take lots and lots of pics. They grow so fast! My baby will be graduating high school in 7 months!!! I can’t believe it!!! Enjoy avery moment! They are only little once. Congratulations – she is adorable – I tell the truth – take lost of pictures -they grow up FAST! 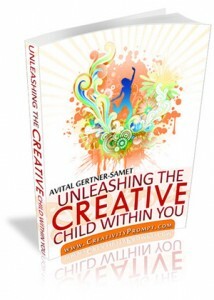 I bet that you live the celebration of Lights in with a whole new outlook now that you are a Mommy! Thinking of you and that precious triangle of LOVE the three of you make!